Important - Please read description below prior to purchase. 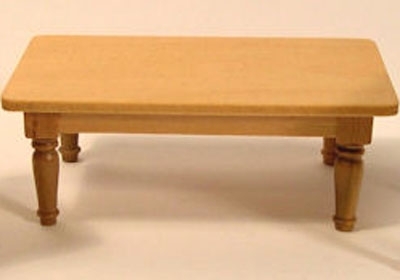 These Coffee tables are considered -Seconds- The legs are discolored and do not match the light colored tops. Otherwise they are great tables and I would suggest painting the legs to match your decor. I only have a few left, but if you would like more for your project I can get them. It seems the entire production batch has been effected. Lee's Line most recent introduction. Cara Coffee Table with golden oak stain . This coffee table was designed to go with the Cara collection but will match any decor. Has matching end tables.